Back when the Russians were dominating virtually every Olympic sport and when Americans were a bit more nationalistic, Jackie Joyner-Kersee was who we turned to put on for our country in women's track and field. She certainly didn't let us down as she brought home six Olympic medals including three golds during her career. 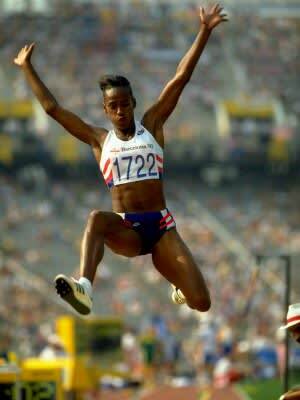 She also set the women's long jump world record at 7.49 meters in 1987, a personal best which still stands as the second longest long jump in women's history.